We are excited to partner with Jenny Quiner and Dogpatch Urban Gardens for our Winter Wellness Open House on Wednesday, January 20th from 5-7 p.m. at the clinic. 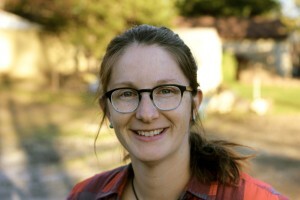 Jenny will be on site with samples of her microgreens from Dogpatch Urban Gardens. Learn more here. Tell us about Dogpatch Urban Gardens and why you started it. Dogpatch Urban Gardens (D.U.G.) is a market-garden located just north of Beaverdale. This spring I will begin the first growing season. I will be using intensive methods to sustainably grow produce on ¼ an acre of land. My main crops will be greens (lettuce, arugula, kale, spinach), root vegetables (carrots, radish, beets, turnips), tomatoes, and herbs (basil, cilantro, rosemary, and parsley). I am currently a science teacher at Dowling Catholic High School and it has always been a dream of mine to own a garden where I can use sustainable and organic growing methods. Almost out of fate, an opportunity arose that allowed for me to pursue this dream. This fall a house went up for sale in our neighborhood and the house has a plot of land which was ideal for an urban garden. My husband and I were able to purchase the house, and land, which has allowed this new adventure began! I’m starting this urban garden for various reasons. I have a passion for health and this garden will be used to as a tool for enhanced health through nutrition as well as education. D.U.G. allows me to provide fresh, hyper-local, and organically grown produce to the Des Moines Metro. I also want to have a positive impact on our environment by enriching soil and allowing for residence to purchase from a local source rather than from areas such as California or Mexico. Buying local decreases the use of fossil fuels used on large scale farming operations and also used for transporting produce over long distances. Another main motivator for starting this farm is to be able to raise my 3 young boys “knowing where their food comes from.” As they get older I see them as becoming integral parts to the farming operation and I want to see them grow up with their hands in the dirt! One of your specialities is microgreens. What is a microgreen and what’s so great about them? Microgreens are what I like to refer to as “super plants.” They are young, and tender, plants that are used in foods to enhance nutritional value, color, texture, and/or flavor. Microgreens are commonly confused with sprouts yet they are not the same. 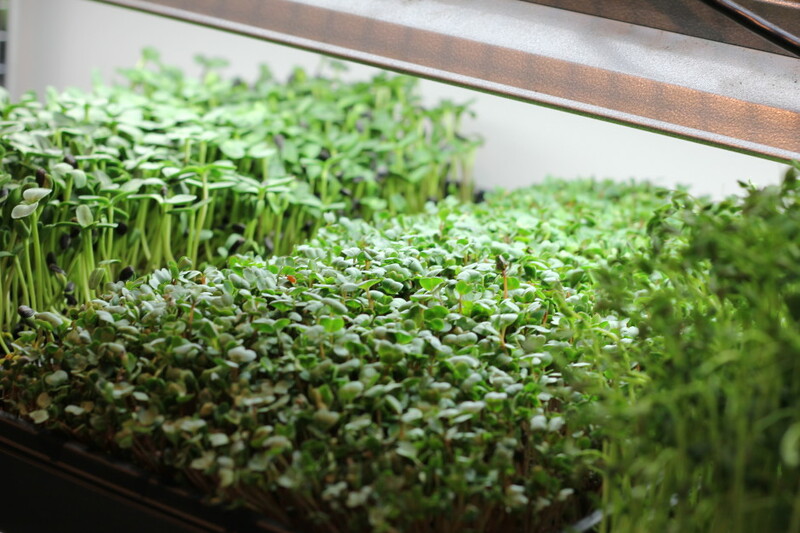 Microgreens are more mature than sprouts and harvested before being considered baby greens. The thing that is so great about microgreens is they are jam-packed with nutrition. 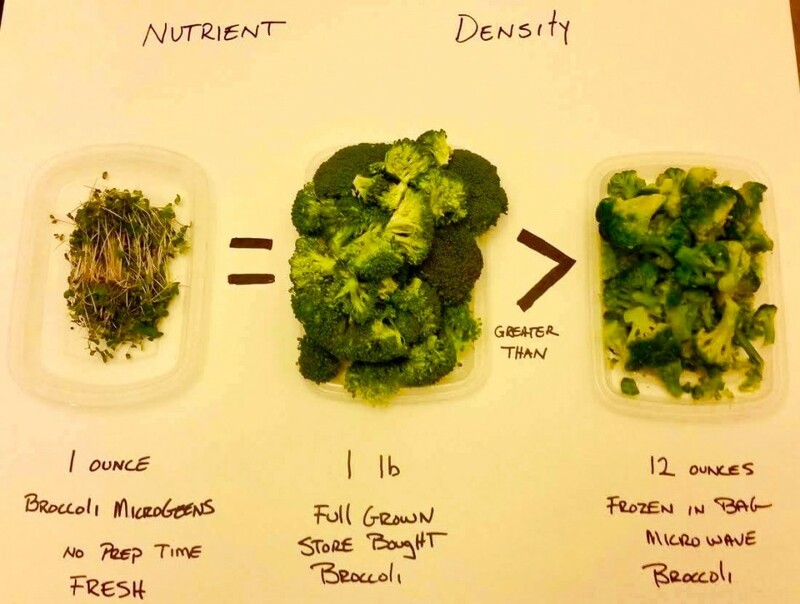 Studies show that microgreens can have up to 40x the nutrient value compared to the mature plant. While this varies from seed to seed, the overall benefit of the plant is they are low in calories while high in nutrients, vitamins, and fiber. What one thing are you most excited about for DUG in the next year? This is a tough question to answer because there are so many things that I’m excited about, so it’s hard to choose just one! I’m excited for this new life endeavor and transitioning into being a full time farmer. I’m stoked to be able to enhance the community through nutrition, education, engagement, volunteerism, etc. all while strengthening our environment. D.U.G.’s farm slogan is “Cultivating Community” and I’m really proud to be a part of a positive movement in the Des Moines metro. There is a shift happening in the US that is changing food buying practices from large scale operations to locally grown. 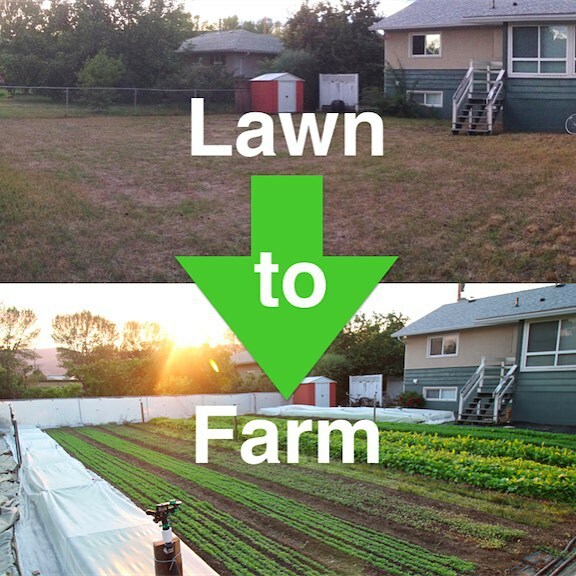 Part of this shift is moving away from green lawns and making better use of our urban, or suburban, plots through farming. I am excited to be a part of this movement. While Iowa is known as being an agricultural hub much of the crops grown throughout the state are used for things other than human consumption. It’s very reassuring to know I can help make a positive impact on our community through something as “simple” as growing food! What do you see for Dogpatch Urban Gardens in the next five years? Since we are an urban plot, our current land base will not be expanding, yet I do plan to offer more products. Things on my list are: honey, chicken eggs, flowers, and fruits. I like the idea of diversifying our plot all while not spreading ourselves too thin. Sustainability is very important in all forms of the word. Not only will I grow in a sustainable manner but I need to be able to sustain my lifestyle and spend time away with my family. I foresee our on-site farm stand as becoming more of a destination in the metro. We will expand our foundation of Dogpatch products to sell, as well as become more connected with other local growers to offer a wide variety of products for sale. I also envision Dogpatch Urban Gardens being more and more prevalent in the Des Moines food scene. In the next five years my goal to be a major produce provider for Des Moines Metro restaurants. Lastly, with the idea of “cultivating community” in mind, I also plan to host events to bring the community to the farm. Some examples of events that come to mind are yoga, hosting educational opportunities, Santa visits, and other fun things that appeal to community members. What’s your biggest challenge right now with D.U.G.? The fact that this is my first year running this farming business can be overwhelming. There are a lot of things to learn when starting any type of business and this agricultural venture is no different. I am working with the city on things like fence height variances, re-platting a new plot we recently purchased, making sure we are properly permitted, etc. Luckily my husband is very well versed in the business world and he has been a very helpful resource for me. All these things take time and my time is pretty spread thin at the moment. As a part-time science teacher and a mom of 3 boys (under the age of 4 ½) time is very precious. This spring will be a challenge with prepping, planting, and maintaining our plots, but once summer rolls around, and the school year comes to an end, I will be able to delegate more of my time towards the farm. What are a few of your favorite spots in Des Moines for food and community? There are so many great spots to hit up in Des Moines, so that can be hard to narrow down. One of my favorite spots is The Cheese Shop in the Shops at Roosevelt. It’s a locally owned shop and everyone that works there is passionate, and knowledgeable, about their products. During the warmer months you can commonly find me, and my family, at Jasper Winery for their Thursday Night Concert Series. Their land is beautiful, it’s a very kid friendly event, and they book great bands! How can people learn more about DUG?